Despite murmurs of tumult and slowdown in the Chinese economy, the fact remains that China’s economic engine has been on a tear — at roughly 6.5 percent or more for the last six years. Much of this growth has been fueled by China’s emergent tech industry, as even in Silicon Valley, China’s BAT companies (Baidu, Alibaba, Tencent) and hot startup scene have become part of everyday conversation. According to Harvard Business Review, human capital has accounted for 11-15 percent of China’s GDP growth, and the supply of qualified employees is having a hard time meeting the market demand and growth. This has resulted in high turnover in human capital as companies try to outbid each other for the best talent. For starters, a 20-30 percent increase in compensation package is considered the norm in China. However, there is much more depth to this phenomenon, so let’s examine it further. Talent moving into big cities for employment opportunities has been a classic global phenomenon — especially in times of growth — and a persistent trend in China during recent years. However, surprisingly, we are now starting to see an exodus from the Tier 1 cities in China (such as Beijing, Shanghai, Shenzhen). Higher standards of living in these cities have become an issue for younger employees (the same has been observed in Silicon Valley). Let’s take Beijing, not just China’s capital, but the most preeminent internet hub, as an example: Monthly rent for a one-bedroom apartment is approximately RMB¥2,300-5,000 ($340-750 at recent exchange rates) outside of the city and RMB¥5,000-9,000 ($750-$1,300) in the city center. Moreover, prices for housing and rentals have been rising at 16 percent and 12 percent, respectively, annually. These numbers may not seem impressive when compared to rent in Silicon Valley, but they’re not so easy to stomach when you take into account Chinese salaries. 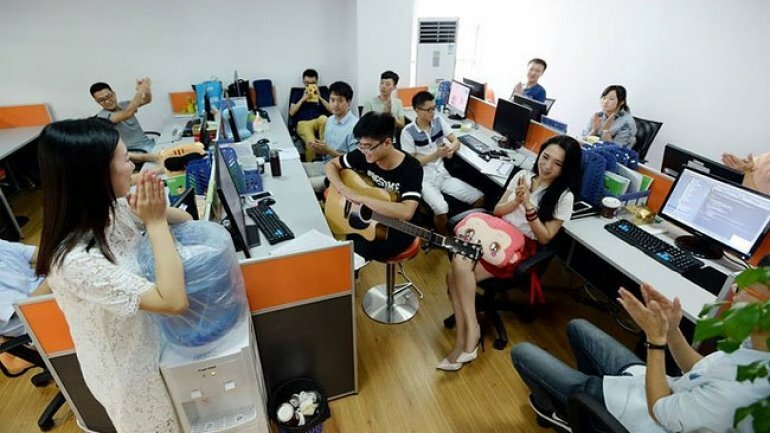 For example, Baidu in Beijing typically offers a starting annual salary for young tech talent ranging from RMB¥106,000-136,000 (roughly $16,000-$20,000). Apples to apples, this would be like monthly rent of $3,750-$6,500 on a salary of $100,000 in the U.S. Not surprisingly, young people in China are finding it difficult living in the city. Indeed, many eager young employees who came to Tier 1 cities in search of work and opportunity have returned home in search of alternatives. As a result, employers in Tier 2 or 3 cities are benefiting from the new surge in talent. Tech companies and startups outside of Tier 1 cities may see an advantage in terms of cost-effectiveness and margins when compared with their counterparts in Beijing and Shanghai. Just IN: China has more billionaires than U.S.